The Agnus Dei - Abracadabra - The Table Of Jupiter - The Planetary Angels - The Agla - Dr. Dee. THE Talisman known as the Agnus Dei came into use after the Christian religion had become general; and it is in use at the present day. It consists of a Lamb carrying a flag and cross, as in Illustration No. 129, Plate IX, with the motto "Ecce Agnus Dei" (Behold the Lamb of God). It was made not only in various metals, but in wax, and is believed to possess the virtue of preserving its wearers from the danger of accidents, tempests, and pestilence. "The Well of Everlastingh Life,"
"The Well of Gracy." The Five Wounds symbolise the five senses through which we have the power of wounding Our Lord by yielding to the temptation of the Flesh and the Devil, and in themselves alone were regarded as an efficacious Talisman against all evil. Inside the ring is engraved the names of the Three Kings of Cologne (so named because their relics are preserved at Cologne), or the Magi - the Three Wise Kings - Caspar, signifying the White One; Melchior, King of Light; Baltasar the Lord of Treasures; also in Latin the verse Luke iv. 30, I.H.S. : "Autem transiens per medium illorum ibat" (Jesus passing through their midst went His way.) This text was worn as a charm against danger by sea and land, and especially against dangers from robbers; and to commemorate his escape in the great naval battle off Sluys in the year 1340 Edward III had this same verse struck upon his gold nobles. 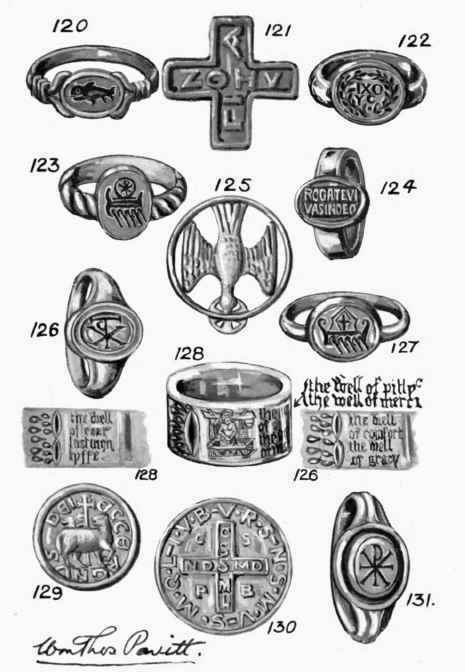 EARLY CHRISTIAN AND MEDIaeVAL TALISMANS. 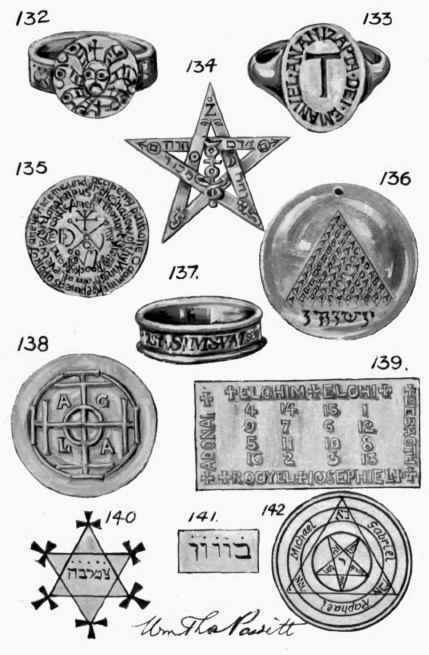 The Sigil Ananizapta is also engraved inside the ring and has been translated as meaning, "Have mercy on us, O Judge"; it was considered a powerful protection against disease, epilepsy, and intoxication, particularly when associated with the Tau Cross, as in Illustration No. 133, Plate X. The Cross Of St. Benedict was another popular charm, worn as a protection against disease and dangers. Each letter stands for a word, the four letters in the angles of the Cross, making the first line, then the upright of the Cross, next the horizontal bar, finally the lettering round the outside, as in Illustration No. 130, Plate IX. 1. Crux Sancti Patris Benedicte. 2. Crux Sancta sit mihi lux. 3. Ne daemon sit mihi dux. 4. Vade retro Satana, Ne suade mihi vana; Sunt mala quae libas, Ipse venena bibas. 1. Cross of the Holy Father Benedict. 2. Holy Cross be my light. 3. Let no evil spirit be my guide. 4. 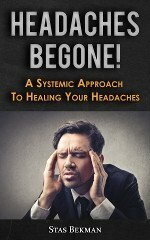 Get thee behind me Satan, Suggest no vain delusions; What thou offerest is evil, Thou thyself drinkest poison.